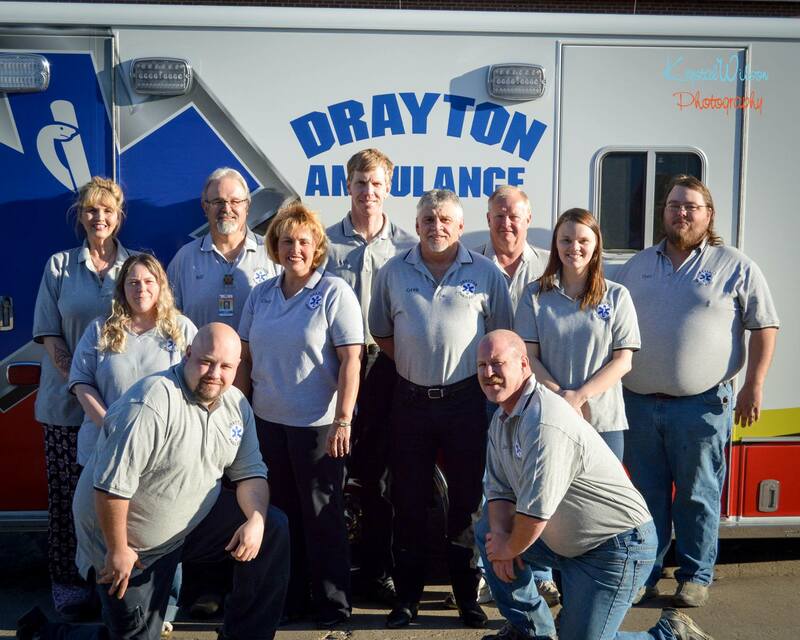 Drayton Volunteer Ambulance Service serves the Drayton area with a 13-member responding crew. Our role as rural emergency medical providers is exciting, deeply rewarding, and ever-changing. We are in need of additional EMTs to maintain our excellent record of preparedness and to ensure an adequate number of responders continues to be available 24 hours a day, 365 days a year. Averaging approximately 100 calls annually in a coverage area that spans Pembina and Walsh counties in North Dakota, and Kittson and Marshall counties in Minnesota, Drayton Ambulance enjoys the generous support of area employers who allow their employees to respond to ambulance calls during working hours. Our crew members maintain an active, visible role in the community, offering periodic CPR classes and CPR recertification for the public, our firefighters, and lifeguards. We provide standby medical coverage at all fire scenes, football games, Pembina County Fair, Pembina Red River Roughrider Rodeo, and Pembina motocross races. Public membership in Drayton Volunteer Ambulance Association is available for an annual membership fee of $15.00. For more information about joining our crew, membership, memorials, and donations, please contact us at PO Box 238, Drayton, ND 58225-0238.